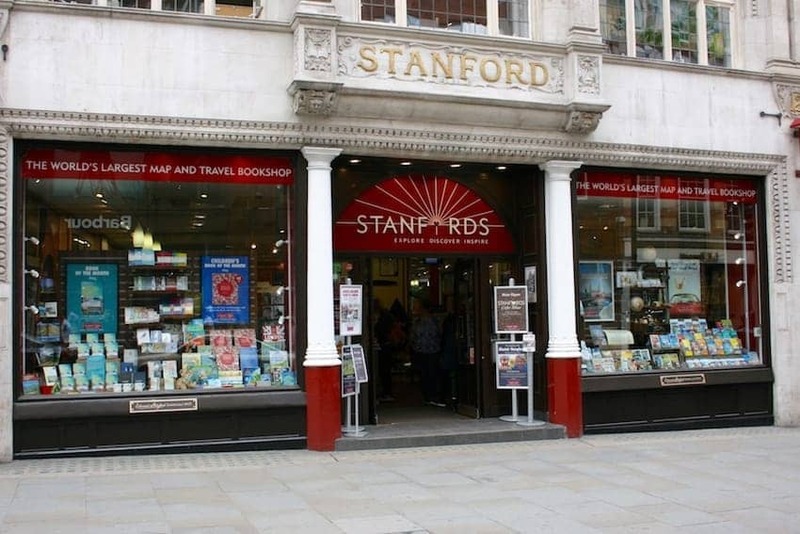 Established in 1853, and located at its historic shop in a Victorian building on Long Acre, Covent Garden since 1901, Stanfords is the largest specialist travel bookshop in the world. Something of an institution it offers an unrivalled selection of maps, guides and books catering for adventurers and armchair travellers alike. Famous customers have included Captain Robert Scott, Sir Ernest Henry Shackleton, Florence Nightingale and Ranulph Fiennes. Handmade globes, atlases, furniture and travel accessories are also for sale.